Shown in Platinum, Set with 40 1.5mm Round Brilliant Diamonds, Total diamond weight 0.53 carat, D-G Colour, VS2-SI Clarity. 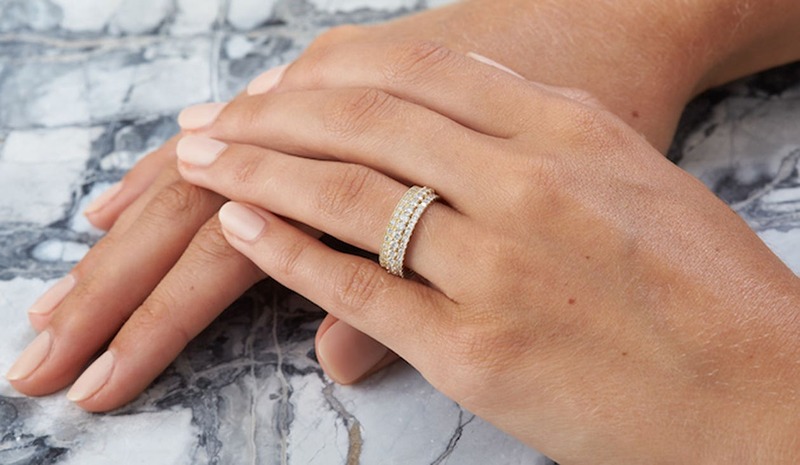 The Sempera Eternity Band fits perfectly with the Raya Engagement Ring or stacked with another eternity ring. The Sempera Eternity Band uses scalloped claw settings to show off the diamonds. 'Semper' takes its origins from the Latin phrase meaning 'always one, as one, together'. The eternity band shines bright, capturing the essence of eternal love.